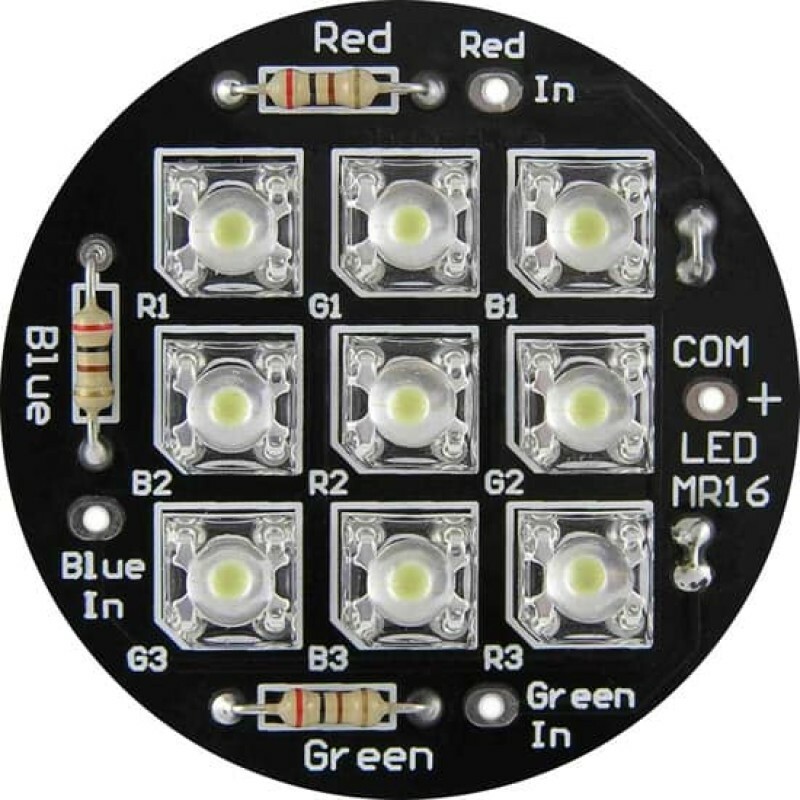 The LED MR16 uses industry standard LEDs in 3mm, 5mm or Piranha models of any color including White, Red, Green, Blue, Violet, Pink or Yellow models. 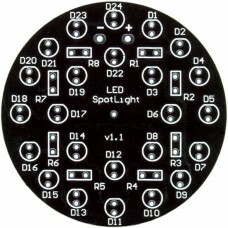 Unique system conveniently holding 9 LEDs on a compact 1 7/8" (48mm) diameter jet-black board. 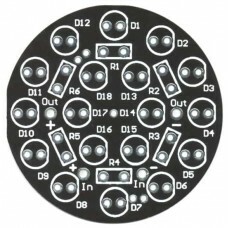 Shown to the LED MR16 bare board along with the board with Piranha LEDs, and also the board loaded with standard 5mm ultra-bright LEDs. 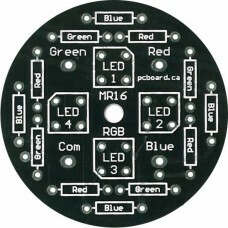 The LED MR16 board has three separate inputs, with three LEDs on each. 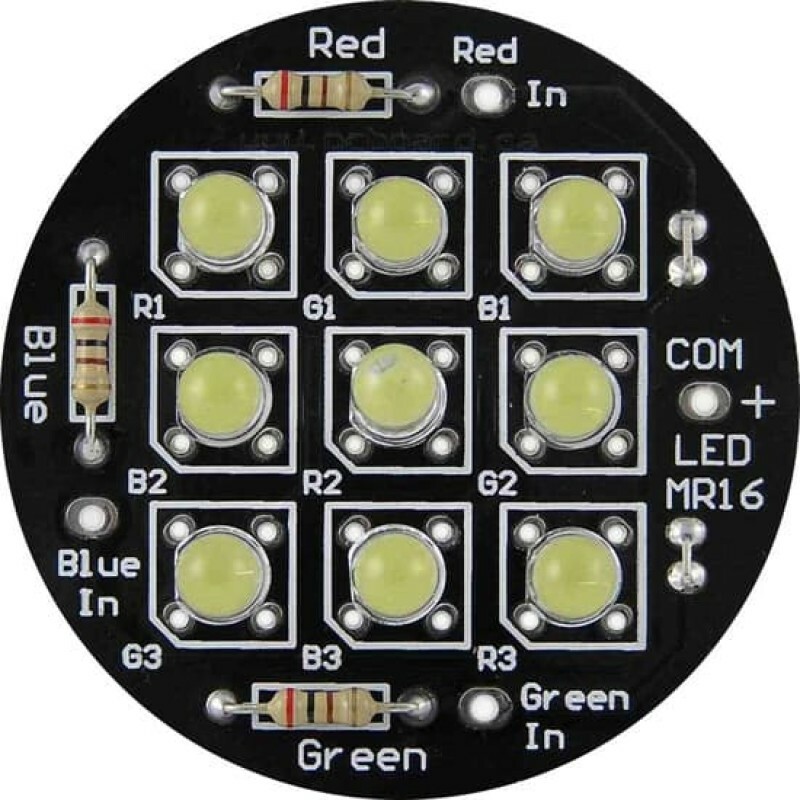 This allows you the flexibility to install multiple color LEDs (Red, Green and Blue) on the board to be used in color mixing functions, such as with the LED Rainbow controller. 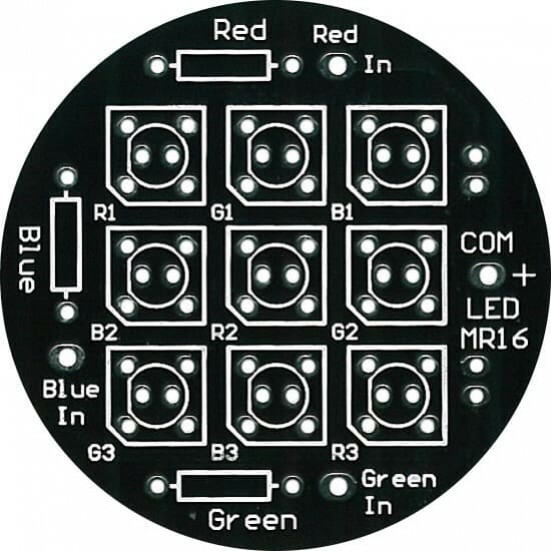 If only a single color of LED is needed on the board, all nine locations can have the same color of LED installed and two jumpers installed on the board to use a single input. 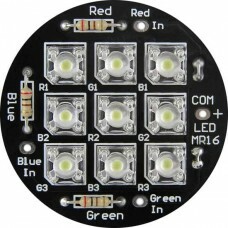 For more information and technical details on the LED MR16, please visit our Support Site. Kit includes only the PC board. 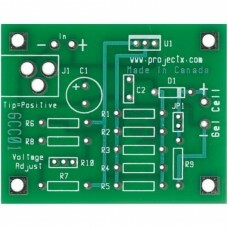 The LED Spotlight uses industry standard LEDs of any color including White, Red, Green, Blue, Violet.. The LED TriLight is a versatile mounting system which holds nine equally-spaced LEDs on a compact 9&.. 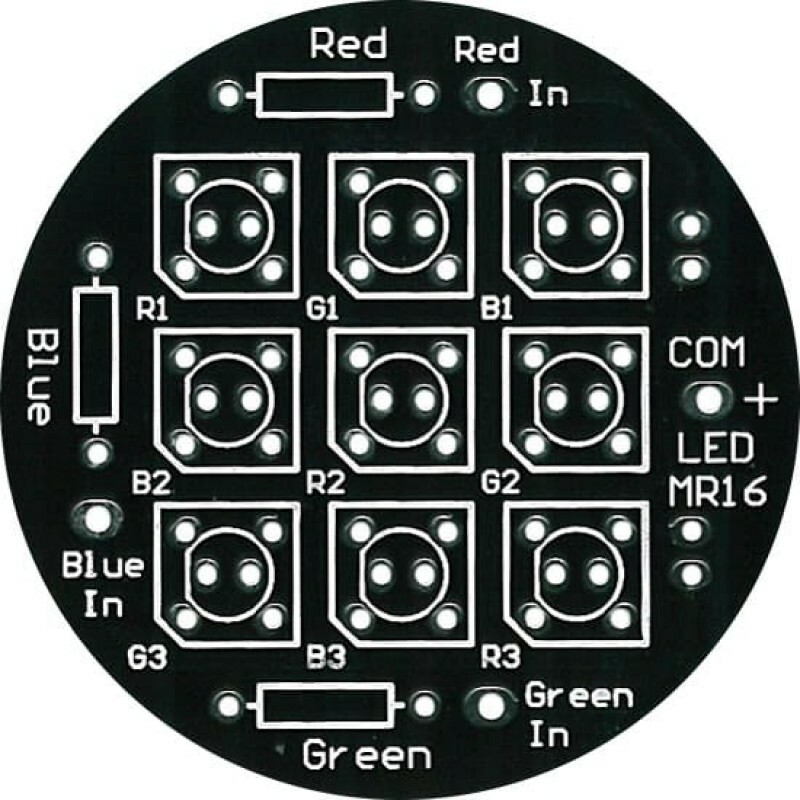 This is our LED MR16 compact 1 7/8” (48mm) diameter board assembled and tested to run on 12v-1.. 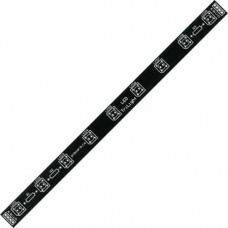 LED Spotlight 24 LED Display Board The LED Spotlight uses industry standard LEDs of any color incl.. 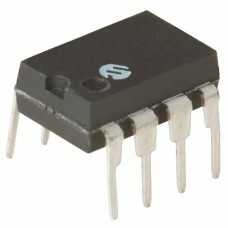 LED Rainbow Processor v3 Effects Routines The LED Rainbow is a dedicated Pulse Width Modulation (P..
4 LED RGB Display Note: This item is no longer available. It has been replaced by a pre-built, full.. 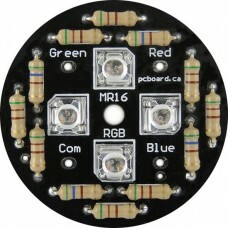 Holds four Piranha RGB LEDs on a compact 1 7/8” (48mm) diameter board. Designed to fit into st..